On Saturday 17 March 2018, a local wheelchair rugby team The Dorset Destroyers attempt world record of 26 hours continuous play at Rossmore Leisure Centre in Herbert Avenue, Poole. This Saturday, The Dorset Destroyers Wheelchair Rugby Club will attempt to beat the world record by playing wheelchair rugby for 26 hours starting at 1pm on Saturday, 17 March and running till 3pm on Sunday, 18 March at Rossmore Leisure Centre in Herbert Avenue, Poole. 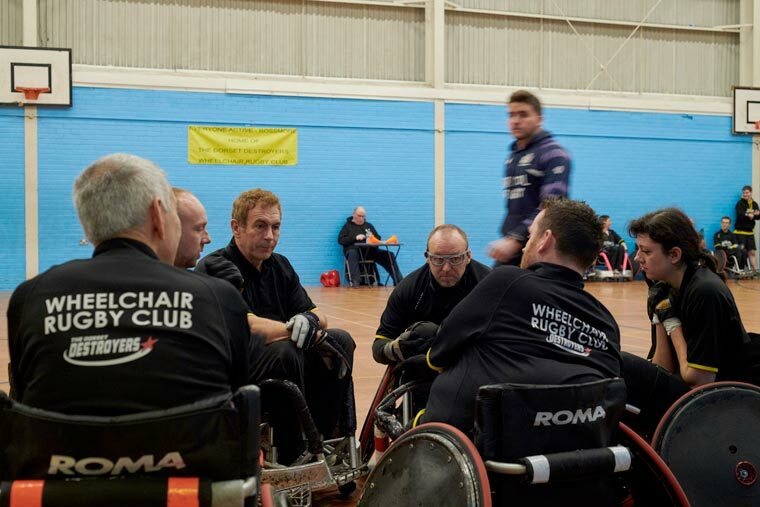 The idea behind it is to promote the club, to promote the sport of wheelchair rugby and to raise money to give more disabled people the opportunity to play the sport. They are aiming to raise £10,000 in the process. The money will be used to buy more rugby wheelchairs to enable disabled people from around the area to access this amazing and energetic sport. Doors open at 12.45 on Saturday, and you are invited to go along and watch this epic attempt. There is free entry, and there will be cakes, drinks and raffle tickets on sale with amazing prizes to be won, donated by local businesses. An auction will also be held at the end of April.